Inside ever NMX Wellness Innovations product is quality you can trust. Our products are subject to more than 80 quality checks, so you can purchase with confidence. Cosamin was developed by a pharmacist in 1992 and has been recommended by healthcare professionals for over 20 years. Based on U.S. published studies in peer-reviewed journals, Cosamin DS is the #! researched glucosamine/chondroitin sulfate brand. 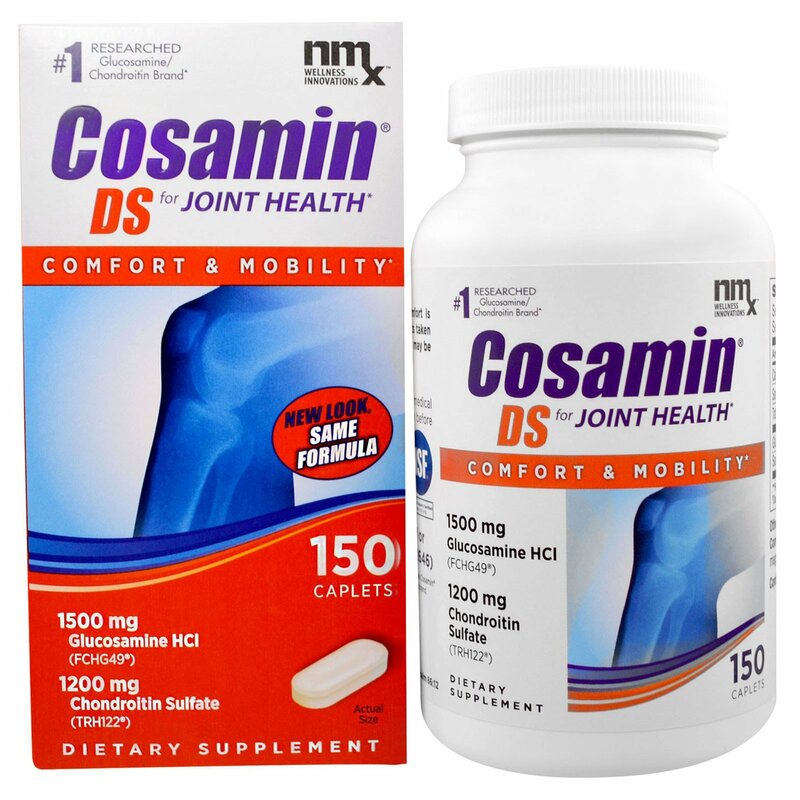 Laboratory studies show that the trademarked ingredients in Cosamin DS reduce the effect of markers associated with cartilage breakdown. Cosamin DS helps support joint comfort and mobility, and is ideal for everyday activity such as walking, shopping, gardening, etc. 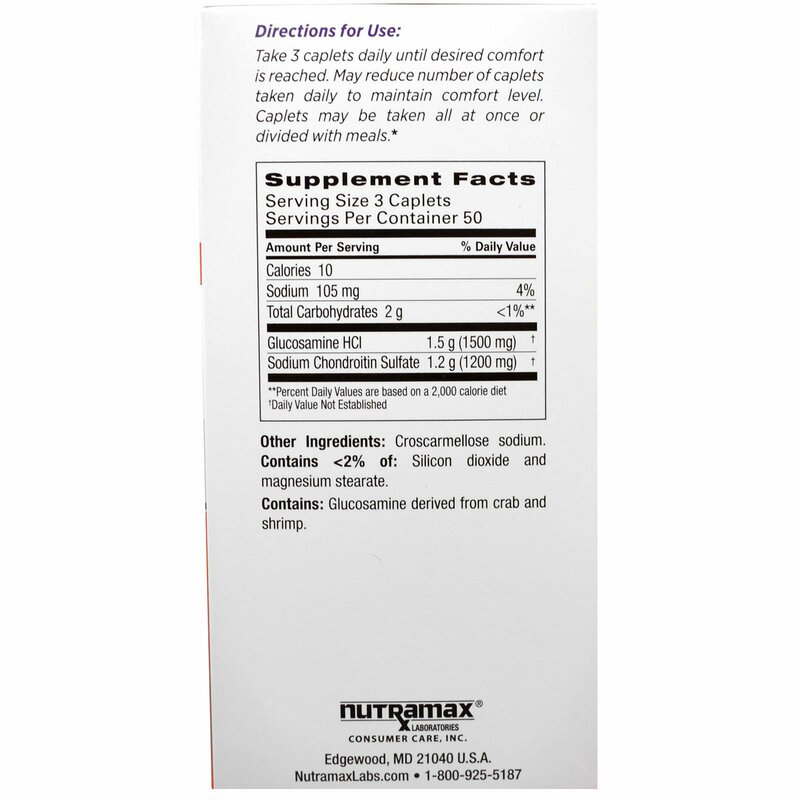 One serving contains 1500 mg of FCH49 Glucosamine HCI and 1200 mg TRH122 Chondroitin Sulfate, the same trademarked ingredients used in published clinical studies. ♦ Based on U.S. studies published in peer-reviewed journals, the Cosamin brand is the most researched glucosamine/chondroitin sulfate brand. Take 3 caplets daily until desired comfort is reached. May reduce number of caplets taken daily to maintain comfort level. Caplets may be taken all at once or divided with meals. Contains <2% of: Silicon dioxide and magnesium stearate. Contains Glucosamine derived from crab and shrimp.